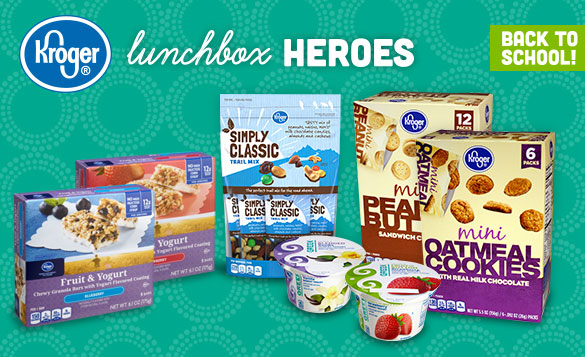 Scoop up an assortment of Lunchbox Heroes at The Kroger Co. Family of Stores today! 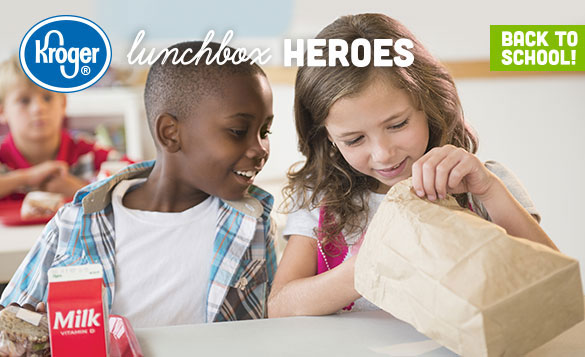 What’s a Lunchbox Hero, you say? Delicious, convenient and affordable — it’s the kind of food that makes everyone smile (moms and dads included). When I was a kid I looked forward to the extra treats in my lunch, much more than I did for the sandwich! How awesome is it that Kroger offers such a variety of snacks for my Heroes. Granola, cereal and fiber bars, Chocolate oatmeal cookie snack packs, Trail mix snack pack tubes, Greek Yogurt, and Peanut Butter Cracker snacks just to name a few. Each day I can add a different snack and surprise my kiddo with something exciting and new to taste. I personally loved the trail mix snack tubes. Such a great sweet and salty combination. These work great not only for kids back to school lunch but for Dad and Mom's on the go. I wish I had a Kroger near where I live. These snacks do look terrific for lunchbox fun.